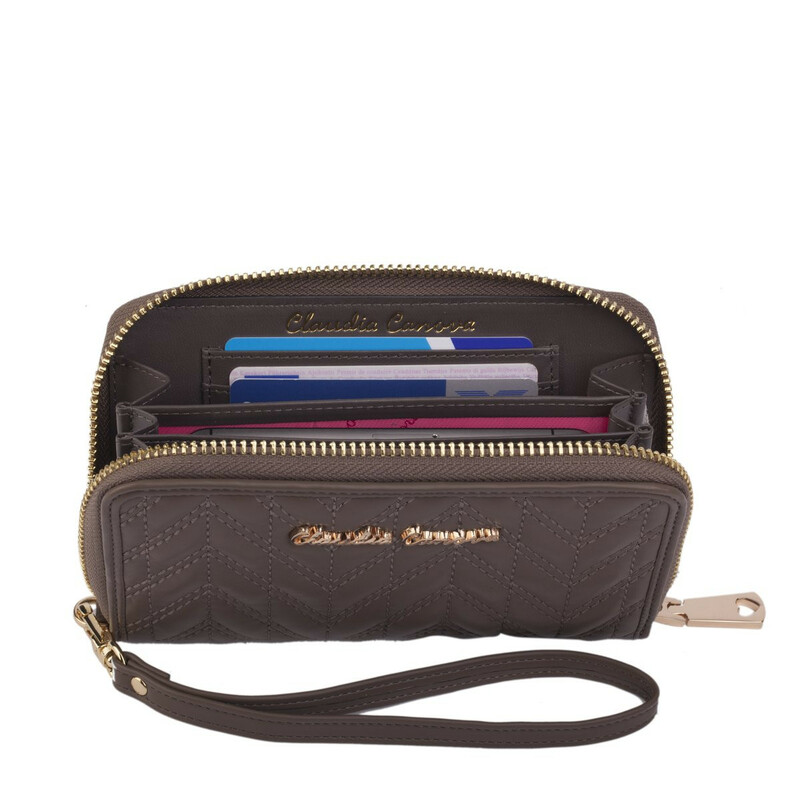 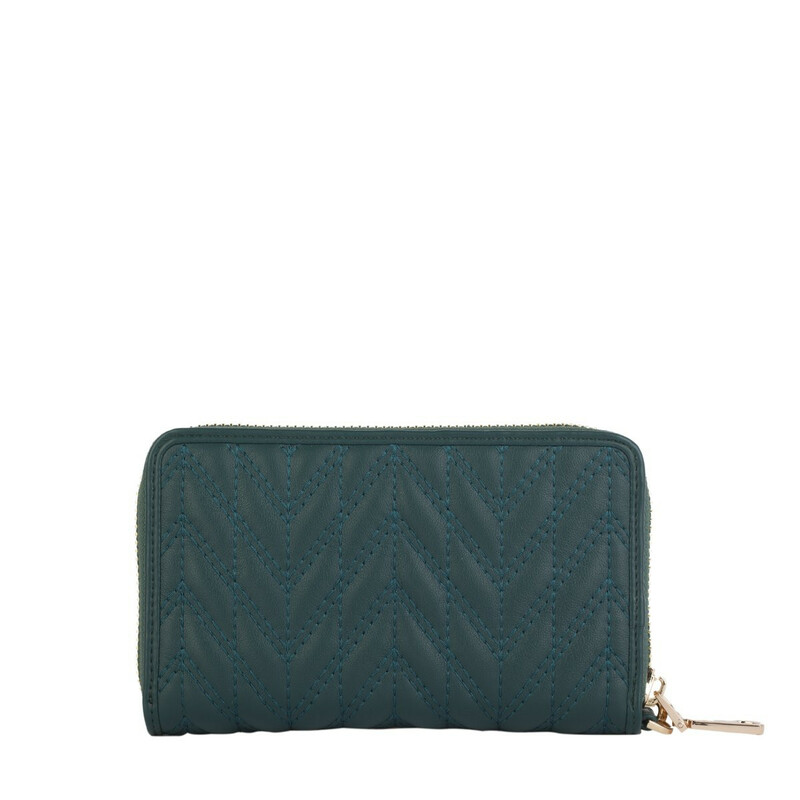 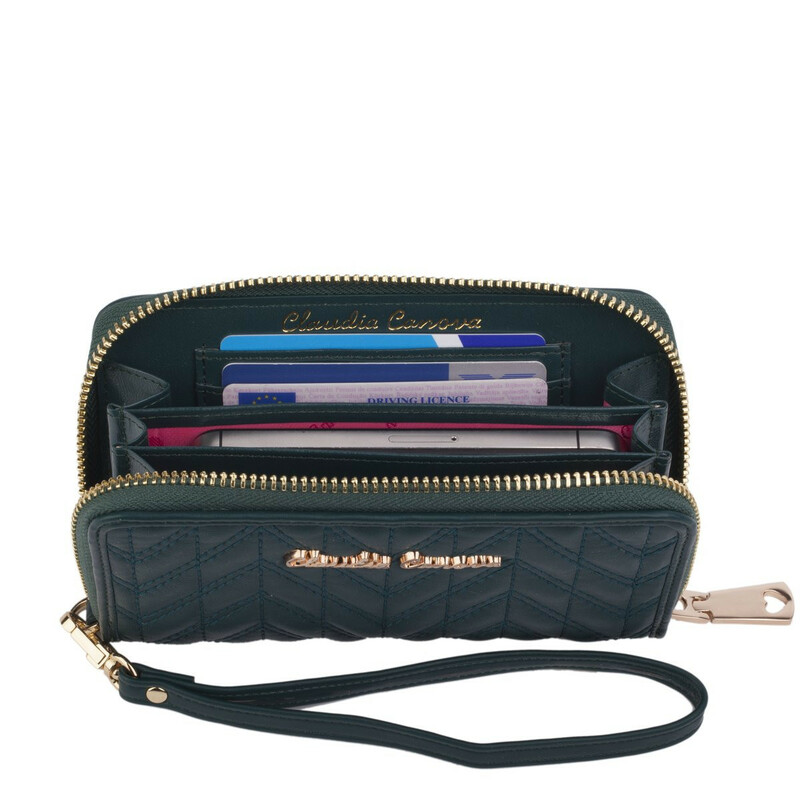 This zip round purse has many features that make it such a great buy. 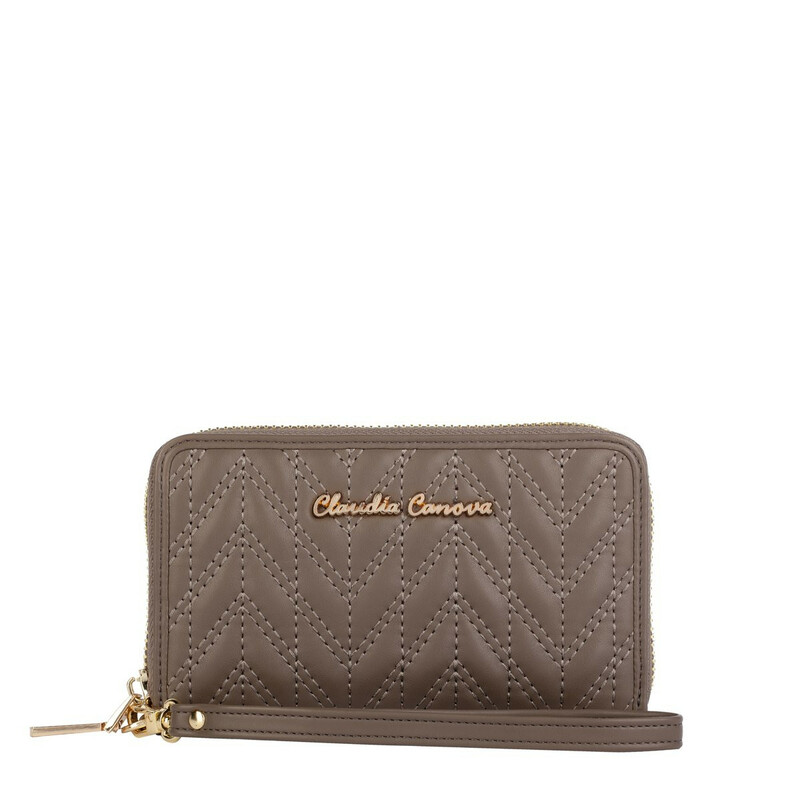 The chevron stitch quilting has a luxurious hand feel and the signature branded plate adds a flourish. 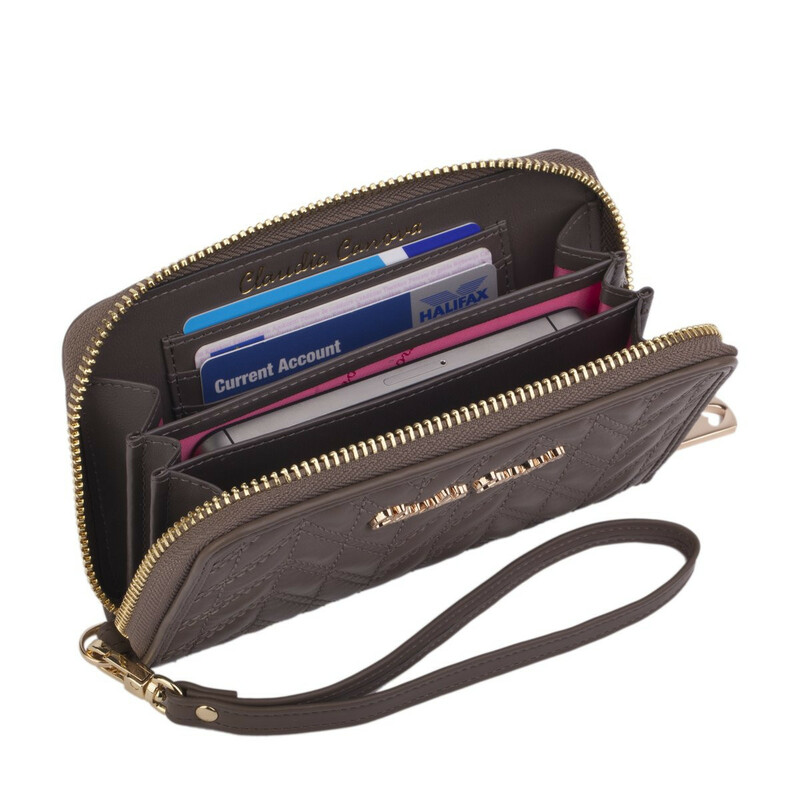 Inside there is a clever little section in the middle for putting your phone in, whilst the note section and card slots keep everything safely inside. 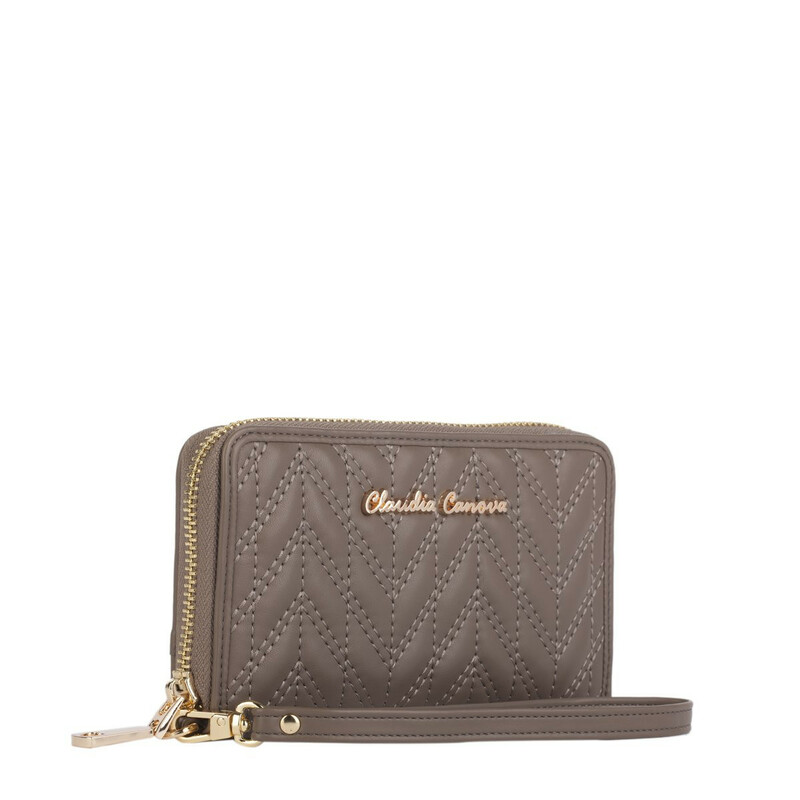 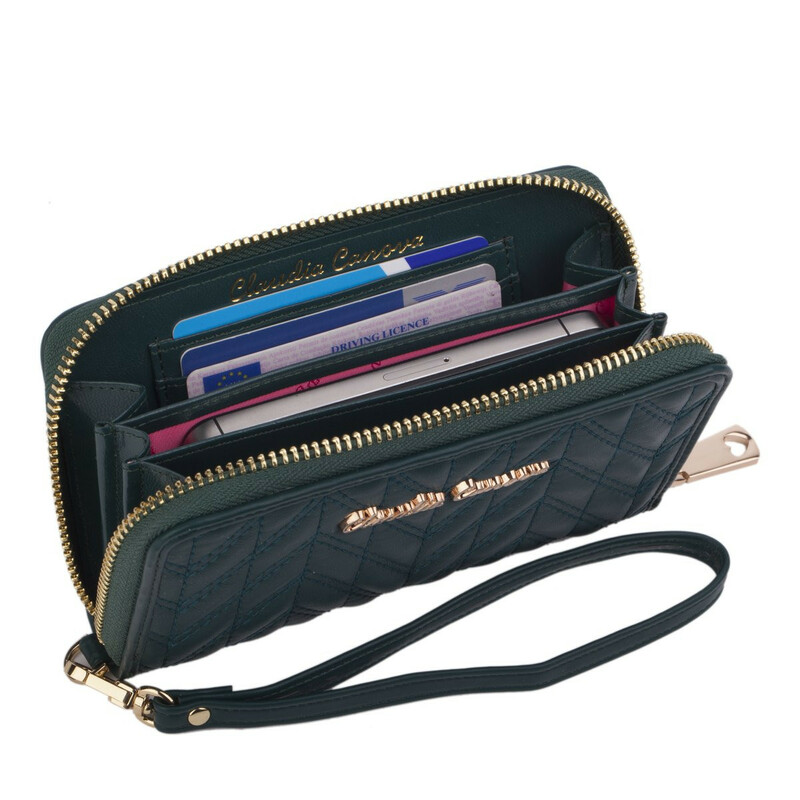 To top it off it has a detachable wrist strap so you can use it as a wristlet.